Yeshua's most important remarks about Torah are found in Matthew 5:17-19 where he stated, "Do not think that I have come to abolish the Torah or the Prophets. I have come not to abolish but to complete. Yes indeed! I tell you that until heaven and earth pass away, not so much as a yod or a stroke will pass from the Torah – not until everything that must happen has happened. So whoever disobeys the least of these commandments and teaches others to do so will be called the least in the Kingdom of Heaven. But whoever obeys them and so teaches will be called great in the Kingdom of Heaven." The word Torah in Hebrew means 'instruction.' 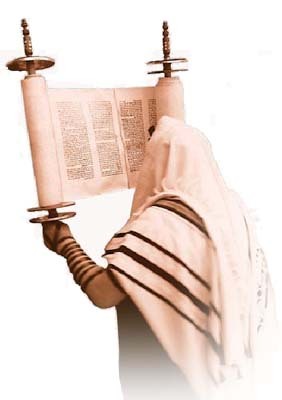 The written Torah consists of the five books of Moses and the oral Torah consisting of additional oral instructions passed down from generation to generation. The Written Torah is viewed as God's expressed will, and the Oral Torah viewed as the detailed instructions on how to fulfill that expressed will. leaders of the Pharisees, and finally to the earliest rabbis. Over succeeding generations, as rabbis continued their study of the Oral Torah, a tradition of commentary and explanation began to grow. This expanding mass of material became an object of study in its own right and was called the Gemara in Aramaic - meaning study. Both the Mishnah and Gemara were combined into a single document and called the Talmud - meaning 'to study' in Hebrew. The Talmud is divided into six divisions, in which there are various tractates on different topical areas. Today, there are only 37 of the original sixty tractates of the Babylonian Talmud (Bavli) and 39 of the original sixty-three tractates of the Jerusalem Talmud (Yerushalmi). 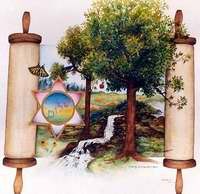 What is Halacha and Aggadah? The Hebrew word "halacha" means "to walk in the way." It is a term used for the rules that govern religious life. Halacha is an ancient term reflected in the New Testament meaning someone who "walks in the way." A few examples of this are found in Luke 1:6; Acts 21;21; Romans 13:13; 1 Corinthians 7:17; Ephesians 4:17; 5:15; Colossians 4:5; 1 Thessalonians 2:12; 4:1; 12:2; 2 Peter 2:10; 2 John 4-6. From these passages there seems to be a clear indication that in the first century congregations, there was a Messianic Jewish halacha being made, and that it was often referred to as a "walk." In the book of Acts we find reference to a group of believers who walk in "the Way." We find mention of them before Sha’ul’s (Paul's) encounter with Yeshua; also during Shaul's ministry after receiving Yeshua; and at the end of his ministry as he is standing trial. In Acts 24:14 he says this, "But this I do admit to you: I worship the God of our Fathers in accordance with the Way, which they call a sect. I continue to believe everything that accords with the Torah and everything written in the Prophets." Both Yeshua and Shaul observed and upheld the Torah according to what has been written about them. To teach anything different is to read the New Testament outside of the Jewish context in which it was written. First, the "Way" was referred to as a sect within Judaism. Secondly, we read that Sha’ul continued to believe everything in accordance with the Torah and Nevi’im. How else was it that Sha’ul could enter a synagogue and be allowed to teach openly from the beema? Because he had not forsaken his Jewish heritage. He never states, "I am no longer a Jew, now I am a Christian." In fact we read about him spending months inside synagogues teaching and reasoning with the Jews and the Greeks. The "Messiahship of Yeshua" was always the issue that ultimately got him cast out of the synagogue. The reason the leaders of the synagogues allowed Sha’ul to come in was due to his halacha - his walking in "the Way." In Acts 21 we read about the leaders in Jerusalem telling Shaul how many believers there were and how they were all zealous for the Torah. He then goes and purifies himself at the Temple for seven days. Why? Because he was walking in halacha. In Acts 22 he tells the people that he was trained under Rabbi Gamaliel and was thoroughly trained in Torah. In Acts 23 Sha’ul is taken before the Sanhedrin - a Jewish court of law. If Sha’ul was no longer considered Jewish because of his renunciation of Judaism, then he would have never been allowed to enter into the inner court of the Temple, get up and speak and teach in their synagogues, and then be taken before a Jewish court of law. Sha’ul addresses the Sanhedrin, "my fellow Jews…" and he tells them "brothers, I myself am a Pharisee, the son of Pharisees." In Acts 24 he says, "I worship the God of our fathers in accordance with halacha (the Way)." Did Rav Sha’ul, Paul, throw out the Torah and denounce it as legalism? There are many today who believe and teach just that. In Romans 3:31 he asks, "do we abolish the Torah? Heaven forbid! On the contrary, we confirm Torah." In Romans 7:12 he wrote, "so the Torah is holy; that is, the commandment is holy, just and good." So, how did Yeshua relate to the halacha teaching of his day? As might be suspected, there is some difference of opinion over this question, as is illustrated by the following: At times Yeshua speaks about the permanent validity of the Torah in Matt. 5: 17-18; yet his actions and words often seem contrary to the Torah as we see in Mark 2:18-27. Where did Yeshua stand in relation to the Judaism of his day? Did he place himself against the traditions and practices, within them, or somewhere in between? The answers to these questions have significant ramifications for us today, especially within Messianic theology and practice. The New Testament accounts (Luke 2:39-52, John 8:46; Galations 4:4) stress that Yeshua was brought up as a Jewish child in the traditions and faith of his ancestors. His later life was also stamped by his Jewish heritage. He used and taught the traditional prayers of his time such as the Amidah - the "Lord’s Prayer" (Matthew 6:9-13). His special prayer is merely a shortened form of the third, fifth, sixth, ninth and fifteenth of the Eighteen Benedictions of the Amidah. He used the familiar blessings over bread and wine when he gave thanks at meals (Luke 22:19-20). He was quite Jewish in his dress. When the woman with the hemorrhaging reached for him, she grabbed the hem of his garment (Mark 6:56; Matthew 9:20; Luke 8:44). What was on the hem of a Jewish man’s garment? The tzitzit or fringes, which God had commanded the Jewish people to wear (Numbers 15:37-41). His way of life reflected other Jewish customs as well. He followed the custom of not only preaching in the synagogue, but in the open air like the rabbis who preached everywhere, on the village square and in the countryside as well as in the synagogue. The frequent use of baptism associated with his ministry was also quite common to his time, as the Talmud itself testifies in Sanhedrin 39a. Whether one accepts it or not, it is a fact attested to by Matthew, Mark, Luke and John, that even in his final hour, Yeshua did not stop practicing the basic rites of Judaism. Perhaps, most significant was his relationship to the Torah (Law) and traditions, which some have described as "entirely orthodox." He declared the permanence of the whole Torah in Matthew 5:17-19 and even accepted Pharisaic extensions in Matthew 23:2-3 when he said, "do whatever they tell you, but not as they do." Some of these include: tithing of herbs (Matthew 23:23), grace at meals (Mark 6:4 1; 8:6), blessings over wine, and the reciting of the Hallel at the Passover seder (Mark14:22-23, 26). In the Encyclopedia Judaica (vol.10, p.14) it says that "the Gospels provide sufficient evidence to the effect that Jesus did not oppose any prescription of the written or oral Mosaic Law." Another Jewish author, Yehezkel Kaufmann, puts it this way, "The attitude of Jesus to the Torah is the very same attitude one finds among the masters of halacha and aggadah who followed in the Pharisaic tradition." Remember that Yeshua preached regularly in the synagogues. This would not have been possible if his lifestyle or teachings had been profoundly different from the current halacha of his day. In fact, even the "Sermon on the Mount," often viewed as an overview summary of Yeshua’s teaching, reflects concepts familiar to the Jews of his day, consistent with rabbinical teaching. Much of his teaching consists of illustrations of the proper understanding of the Torah, spelling out its wider implications. Many illustrations he used were common to the rabbis. He uses a midrashic style which is an interpretation of the Scriptures, much like we find in the Talmud. The famous "turn the other cheek" passage (Matthew 5:38-48) is often cited as an example of the radical newness of Yeshua’s teachings. But it is the same spirit which inspired the best teaching of the rabbis. The point Yeshua emphasized here is the proper response to insult, "the slap in the face." A person is not to seek retaliation but should endure the insult humbly. This the rabbis agreed with, and counseled that a person struck on the cheek should forgive the offending party even if he does not ask forgiveness (Tosefta Baba Kanima 9:29). The Talmud commends the person who accepts offense without retaliation and submits to suffering and insult cheerfully (Yoma 23a). In fact, one can find parallels in the rabbinical material to almost all of Yeshua’s statements in verses 5:38-42. Going on in Matthew 5, verses 43-47, he builds on "loving your enemy." Here, too, statements expressing similar ideas can be found in the writings of the rabbis. For example, "if anyone seeks to do evil unto you, do you in well that you pray for him" (Testament of Joseph XVIII.2 ). While it is true that the rabbis did not always agree over how to treat an enemy, many of them taught perspectives similar to Yeshua. At the time of Yeshua there were debates between the teachings of the School of Shammai and the School of Hillel on the interpretation of the tradition and its application to contemporary life. While Yeshua was very in tune with his times and his people, there were nevertheless, points of conflict between him and some of the religious leaders over interpretations of the Torah. It must be remembered then that he did not violate generally accepted customs and practice; he simply disagreed with certain specific pronouncements put forward by some teachers. When Yeshua appeared before the Sanhedrin (Mark 14:55), there is no proven basis for any accusations leveled against him. Yeshua took the clear position, not against Torah, but against excessive importance that particular Pharisees added to them. He spoke out about a tendency to put the 'letter' of the Torah before the 'spirit' of the Torah. A number of Yeshua’s comments also indicate that he interacted with the discussion between the schools of Hillel and Shammai. Therefore he would naturally be in conflict with one or the other. For example, the statement about tithing mint and dill (Mt. 23:23f.) reflects one of the things included for tithing by Shammai, but not by Hillel (Maaserot 1.1 cf. 4.6; Eduyyot 5.3; Demai 1.3). The reference to enlarging the tzitzit alludes to another discussion between the two schools. In response to the command to make tzitzit (Deutoromony 22:12), Shammai wanted to make broader tzitzit than the followers of Hillel (Menahot 4). What then was the major focus of the conflict between Yeshua and some of the religious leaders of his day? Was it simply differing interpretations or applications of the Torah? A disagreement over halacha? Or, was it something entirely different? The key to the conflict between him and some of the rabbis of his day revolved around Yeshua’s uniqueness and authority as Messiah, and as the Second Moses. Not unlike today. Yeshua did not abrogate the provisions of the Torah but did elaborate on the implications of its guidelines and principles, as was expected in the Messianic Age. Often his statements were "you have heard it said, but I say". This is not an indication of him setting aside the Torah. Rather, these statements function to get the listener to hear and understand a more deeper, fuller meaning of the Torah. Matthew 5:17-20 brings this point home. He states "don’t think for a moment that I have come to abolish Torah, but rather to fulfill it." Never think that I have come to abolish the Torah, Yeshua says. Rather I came to "fulfill" the Torah. Not to make an end of it. In the Jewish authored Septuagint the word "fulfill" means to completely fill up, to make full. As it turns out, the words "abolish" and "fulfill" were part of a scholarly debate and rabbinical discussion. A sage was accused of abolishing or canceling the Torah if he misinterpreted a passage, nullifying its intent. If he fulfilled it, he had properly interpreted Scripture so as to preserve and correctly explain its meaning. When Yeshua talked of not even the smallest letter - yod or the least stroke of a pen passing away, he spoke in terms similar to the sages: The rabbis wrote, "If the whole world were gathered together to destroy the yod which is the smallest letter in the Torah, they would not succeed" (Canticles Rabbah 5.11; Leviticus Rabbah 19). "Not a letter shall be abolished from the Torah forever" (Exodus Rabbah 6.1). Did Yeshua Condemn The Pharisees? Yeshua arguments with the Pharisees were typical of those between Jewish yeshiva students and their rabbis. In Matthew 23:1-4 we read, "then Yeshua said to the crowds and to his disciples: "The teachers of the law and the Pharisees sit in Moses’ seat. So you must obey them and do everything they tell you. But do not do what they do, for they do not practice what they preach. They tie up heavy loads and put them on men’s shoulders, but they themselves are not willing to lift a finger to move them." Is Yeshua condemning the Pharisees in Matthew 23? Yes, he condemns their hypocrisy, not their teachings. We find that even in the Talmud, the Pharisees criticize those who are hypocrites and insincere. They are labeled "sore spots" and "plagues" and "destroyers of the world" (Berakot 14b; Hagigah 14a; Sotah 3.4). Matthew 5:21- 48: "You have heard, Do not murder,’ but I tell you that anyone who nurses anger against his brother will be subject to judgment"…. You have heard "Do not commit adultery, but I tell you that anyone who looks at a woman with lust has already committed adultery"… You have heard "eye for an eye and tooth for a tooth, but I tell you turn your cheek"… You have heard "love your neighbor, but I say love your enemies." Frequently, this phrase "You have heard it said ... but I say to you" found in the Sermon on the Mount, is presented as evidence of his opposition to the traditions. Actually, this statement reflects a rabbinical approach used to indicate that there is a deeper meaning to a particular passage found in the Bible. In fact, this is a phrase that Rabbi Ishmael, a contemporary of Yeshua and one of the foremost scholars cited in the Talmud, used frequently (Mekilta 3a, 6a). You think that the Scripture has a certain meaning, but there is a deeper meaning that we need to learn to understand. This was a rabbinical way of refuting an inaccurate or incomplete understanding of Scripture. Virtually all of Yeshua’s teachings from the Sermon on the Mount are paralleled in the rabbinical materials. Several examples are: "He who is merciful to others shall receive mercy from Heaven" (Shabbat 151b; vs. Matthew 5:7); "Let your yes be yes and your no be no" (Baba Metzia 49a vs Matthew 5:37); "Do they say, 'Take the splinter out of your eye?' He will retort, 'Remove the beam out of your own eye'" (Baba Bathra 15b vs Matthew 7:3). Yeshua did not oppose the Torah. Rather he was contrasting two interpretations, his, based on his own authority - and some other commonly accepted one. In effect he intensified the Torah with his declarations. The passage in that same chapter where he states, "I did not come to destroy Torah or the Prophets, but to make it complete." The rabbis taught that if you did not live out Torah in your lives, then you were destroying Torah. On the other hand if you were obedient to God’s instruction, Torah, you were fulfilling it. Mark 2:23- 28; Matthew 12:1- 5: The account of Yeshua and his talmidim going through some wheat fields. They were hungry, so the talmidim picked off the heads of grain and eat them. They are accused by the Pharisees of desecrating Shabbat. The gospels record a number of discussions and differences between Yeshua and some of the religious leaders regarding activities appropriate to the Sabbath. Some people have seen in these accounts teachings of Yeshua setting aside the Torah concerning the Sabbath. It is important to remember that certain "violations" of the Sabbath were allowed by the rabbis. The prevailing view was,"It is right to violate one Sabbath in order that many may be observed; the laws were given that men should live by them, not that men should die by them." All the following were permitted: saving life, alleviating acute pain, curing snake bites and cooking for the sick were all allowed on the Sabbath (Shabbat 18.3; Tosefta Shabbat 15.14; Yoma 84b; Tosefta Yoma 84.15). Yeshua did not deny the validity of the Torah or halacha but merely countered these extreme interpretations promoted by some. In this, he usually opposed the views of School of Shammai in favor of those of School of Hillel. More in tune with doing good and people’s needs. There was disagreement and discussion in Yeshua’s time over what was and was not lawful; it was not a settled matter. He entered this discussion in rabbinical manner and proclaimed his teachings. In them he acknowledged the prohibitions against working on the Sabbath and explained their applications and qualifications. But then, this is exactly how the Sabbath regulations were handled by the religious leaders. The fact that he took the trouble to argue and to declare certain things lawful, and did not just say the Sabbath traditions were suspended. It means he acknowledged that certain actions were unlawful on the Sabbath. If he had broken the Sabbath traditions, evidence of this violation would have been used against him at his trial before the Sanhedrin. Yet there is no trace of it (Mark 14:55-64). The argument Yeshua presented here was familiar to his opponents for several reasons. The key phrase, "the Sabbath was made for man, not man for the Sabbath," appears in the rabbinical material (Mekilta 103b, Yoma 85b). Also, the Rabbis frequently used the quotation from Hosea 6:6 to argue that helping people was of greater importance than observing the rituals and customs (Sukkah 49b, Deuteronomy Rabba on 16:18, etc. ), as Yeshua did here. In fact, they used the same examples Yeshua presented—David’s eating the Tabernacle bread and the Temple offerings made on the Sabbath—to demonstrate the same general principle, that the needs of life override the Sabbath restrictions (Y’lomm’denu, Yalkut II, par. 130, Tosefta Shabbat 15b). Matthew 15:1-1 8; Mark 7:1- 19 we read about some Pharisees and Torah teachers asking Yeshua, "why is that your disciples do not wash before they eat?" Yeshua responds that it is not that which goes into your stomach that makes you unclean, but rather that which comes out. In pre-Pharisaic times the washing of hands was necessary for handling holy objects (Shabbat 14b). This was later extended to the handling food. But once again there was a debate between the Schools of Shammai and Hillel. Shammai insisted on washing the hands before filling the cup. Yeshua referred to this when he said, "they clean, or declare pure, the outside of the cup." Hand washing was not, then, a universal command although some chose to live under such restrictions. Apparently, at this time a majority of purity laws applied only to priests, or to laymen who had occasion to enter the Temple. Yeshua’s response to this situation compared favorably with other rabbis of his time. The famous First Century rabbi, Yohanan ben Zakkai, stated: "In life it is not the dead who make you unclean; nor is it the water, but rather the ordinances of the king of kings that purifies." Much later, Maimonides made the same comment, "For to confine oneself to cleaning the outward appearance through washing and cleaning the garment, while having at the same time a lust for various pleasures and unbridled license ... merits the utmost blame." So, Yeshua’s analysis and criticism were quite Jewish and most appropriate. The evil things that come out of our heart make us unclean. Many have interpreted the passage in Mark 7:17-19 to mean that Yeshua set aside the food laws - clean and unclean foods. But by doing so he would have contradicted himself. His detractors had just accused him of not observing their traditions, and he had responded that they did far worse; they did not observe the commandments of the Torah (v. 9-13). For Yeshua to set aside a commandments of the Torah would have undermined the point he was trying to make. What Yeshua was saying bottom line was this, "the washing or not washing of hands before you eat does not make you ceremonially clean or unclean, but it is what comes out of your heart that makes one unclean. Therefore the foods you eat, pass through you, and have no affect on the cleanliness of the heart. Therefore all food God has given you to eat is ritually clean, whether you have washed or not washed." One cannot assume here that Yeshua was opposing the Jewish dietary food laws established by God. But by the third century, the Egyptian Origen understood it as signifying the rejection of Jewish dietary laws by Jesus. The overwhelming majority of modern translators accept Origen’s interpretation when they take Mark 7:19 to mean "Thus he declared all foods clean." If this was so, why did Peter react so strongly against the possibility of eating non-kosher food when he saw the vision in Acts 10? He expressed great indignation and shock. In Acts 11 Peter does not respond, "Oh yes, now I remember, Yeshua declared all foods clean." He said nothing of the sort, because Yeshua never set aside the dietary laws of the Torah. In Luke 4:16 we read that Yeshua attended a synagogue, participated in its service, and read the Haftorah portion which was Isaiah 61. Much of the traditional synagogue service was intact during Yeshua’s time. And, his followers shared the same attachment to these traditional institutions (Acts 13:14-15; 14:17). In John 8:46 Yeshua challenged the people, including the religious leaders, "Who among you can accuse me of any wrong?" No one came forward to claim he had violated any of the biblical laws or any of the Jewish traditions. Not one religious leader was able to point to a flaw in his behavior or conduct, even with respect to the traditions! Yeshua stood before the Sanhedrin (Mark 14:55-56). Some of the religious leaders tried to find something of which to accuse him. Nevertheless, they were unable to find one thing in his life that they could present as a violation; he had lived flawlessly according to the traditions. But finally, they found something. As a man he had claimed to be God, blasphemy from their perspective. They could accuse him of no other violation of the Torah or the traditions! Was Yeshua Torah observant? You bet! Yeshua was a Pharisee in good standing. An Orthodox scholar and rabbi, Pinchas Lapide, wrote, "Jesus never and nowhere broke the law of Moses, nor did he in any way provoke its infringement—it is entirely false to say that he did ... In this respect you must believe me, for I know my Talmud more or less ... This Jesus was as faithful to the law as I would hope to be. But I suspect that Jesus was more faithful to the law than I am—and I am an Orthodox Jew." As a result of Yeshua’s example and teaching, we find his followers remained fully involved in the Jewish community. They continued to worship in the Temple (Acts 2:46; 3:1). They continued to worship in the synagogue and to pray the liturgy (Acts 2:42). In fact we find that several centuries later, Jewish believers were still observing Jewish traditions, as Epiphanius ( 375-400 C.E.) noted about the Nazarenes (Panarion 30:18; 39:7). "They make use not only of the New Testament, but they also use the Old Testament of the Jews; for they do not forbid the books of the Law, the Prophets, and the Writings ... so that they are approved of by the Jews, from whom the Nazarenes do not differ in anything; and they profess all the dogmas pertaining to the prescriptions of the Law and to the customs of the Jews, except they believe in Christ." Further, Jerome indicates that the Nazarenes are to be found "in all the synagogues of the East among the Jews." Viewing the first century, it is accurate to say that the talmidim and their followers remained a part of the "traditional" Jewish community, as Yeshua had instructed them. Who's Authority Are We Under? Doing good deeds to obtain a reward was opposed by the rabbis, not just by Yeshua. The Midrash expounds on that this way. "David said, 'Some trust in their fair and upright deeds, and some in the works of their fathers, but I trust in you. Although I have no good works, yet because I call upon you, you answer me.'" Likewise, the Pharisees criticized those among them who continually asked, "What good deed may I do?" In their discussions and commentaries, the rabbis repeatedly refer to God’s grace. Psalm 119:124 says, "Deal with your servant according to your grace." The Midrash on Psalms comments, "Perhaps you take pleasure in our good works? Merit and good works we have not; act toward us in grace." (Tehillim, on 119:124). God’s grace is an important concept in rabbinical teaching; it is a significant and representative aspect of the rabbis’ thinking. Pinchas Lapide once again makes this quite clear, "It is evident to all Masters of the Talmud that salvation, or participation in the world to come, as it is called in Hebrew, can be attained only through God’s gracious love (grace)." Another statement of the Talmud says this, "then came the prophet Habakkuk and reduced all the commands to one, as it is written: ‘the just shall live by his faith’." (Makkot 23-24).